The ATTHD squad had a great showing last Saturday night at Phoenix FC 2 at the Overland Park Convention Center. Dominic “Dom” Garcia absolutely dominated his amateur debut, finishing his opponent Jeremy Johnson in the second round via TKO. Deron “The Pharaoh” Carlis put on another exciting performance, finishing Aaron Roberson via rear naked choke in round 2. Deron is now 4-0 as a pro! 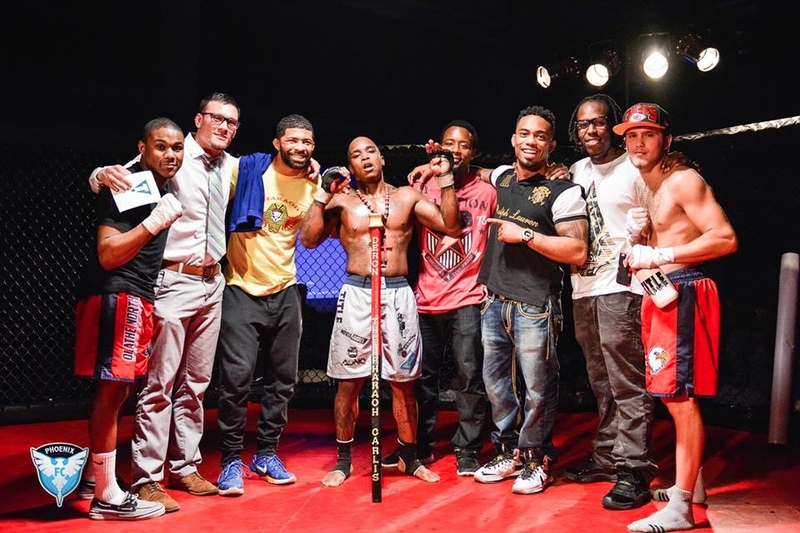 ATTHD Wrestling Coach Sharky Slyter fought an exhibition kickboxing match against friend and training partner Demetrious Wilson. Both guys fought hard for three rounds, and the bout ended in a draw. Marques “MJ All Day” Jackson fought hard but came up short in the second round at a catchweight against a very tough opponent, Chris Harris from Wichita. In his very first fight, Nick Greathouse showed up and held up strong against opponent Matt Roper, but ultimately lost via TKO in round 3. Looking forward to seeing you improve leaps and bounds in time for your next fight! Now, it’s time to get excited for ATTHD owner and head trainer LC Davis‘s co-main event bout against Hideo Tokoro at Bellator 135 on Friday, March 27th. Stay tuned for information about the watch party at Saint’s! It’s going to be a fantastic year thanks to ATTHD!